It is fairly common for atheists to feel frustrated with the religious believer who maintains belief in gods despite the lack of evidence. We are fond of pointing out that this is irrational and that beliefs should be based on evidence. We are right, of course, that this is irrational; however, there is another form of irrationality that strikes me as being even worse than basic theism. What could be more irrational than theism? How about creationism? Young earth creationism is the classic example of the sort of irrationality I have in mind. The theist who continues to believe in gods despite the lack of evidence for their existence is one thing; the creationist who ignores the scientific consensus in order to pretend that the Earth is 6,000 years old is quite another. What makes it worse, to my mind, is that the creationist is not merely believing things without evidence but believing things that have been thoroughly discredited while ignoring the available evidence. The creationist is easy to ridicule because he or she has already made an absurd decision (i.e., my preferred god did it) and is now merely distorting information in a desperate attempt to make it look less bad. Unfortunately, there are many other examples of this that do not involve creationism or even religion. Consider the anti-vaccine crowd for a moment. Like creationists, they have made up their minds that vaccines are dangerous and will not be deterred by the science or what they hear from reputable physicians. 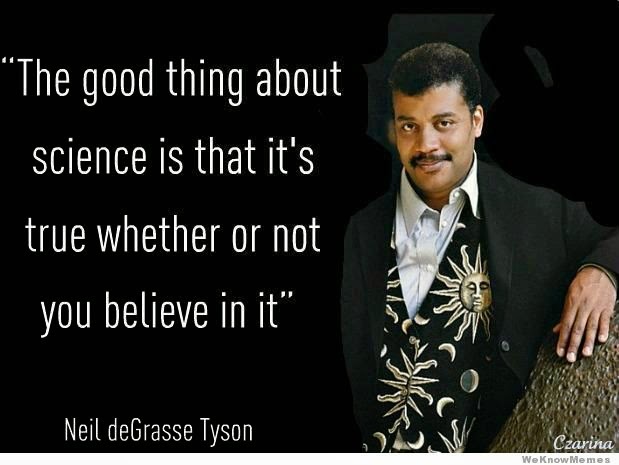 Like the creationist, the clear scientific consensus can be ignored because it conflicts with what they believe. Unlike the creationist, those who continue to believe that vaccines are dangerous do not necessarily do so because of their religious beliefs. At least some atheists are among their ranks. Those who deny climate science serve as another example. Like creationists, they have decided the issue first and are now seeking information to defend their decision. If their preferred opinion conflicts with science, then science can be dismissed. Like the anti-vaccine folks, this is not necessarily driven by one's religious beliefs. Atheists can be found among climate science deniers. The World Health Organization, the U.S. National Academy of Sciences, the British Royal Society, and every other respected organization that has examined the evidence has come to the same conclusion: consuming foods containing ingredients derived from GM crops is no riskier than consuming the same foods containing ingredients from crop plants modified by conventional plant improvement techniques. In other words, there appears to be broad scientific consensus that fears over GM foods are unfounded. Will this make any difference to those who believe otherwise? Nope. When science conflicts with our cherished notions, whether they are religious, political, or something else entirely, they win and science loses. And again, little of this seems to be driven by religious belief. Many people, including some atheists, continue to believe in Bigfoot creatures or yetis. If they are aware of the science at all, they simply disregard it. Some may tell themselves that they know better and frame the issue as a conspiracy. But once again, the science does not seem to dent the underlying belief. There are countless examples of this sort of irrationality all around us. They almost all seem to boil down to the loud insistence, "But that's what I believe" as if that somehow changed reality itself. Despite our best efforts, some of us even participate in this irrationality from time-to-time. This is part of what leads so many of us to keep pointing out that humans are not naturally rational, that rationality is aspirational, and that a commitment to reason requires sustained effort from those who are serious about it. If the religious believer is being irrational to deny science to maintain beliefs which we do not happen to share, then perhaps we are being irrational when we do the same thing to maintain some of our beliefs. When we shield one of our beliefs from scientific evidence, what we are doing is comparable to what the creationist does. It is time for us to own up to that.